Why no sign of chlorine? A chlorine residual (or reserve) is required for any imminent bather load. A total of 1 to 3 ppm for pools, and 3 - 5 ppm for spas, of free available chlorine is required to maintain clean clear sterile water. 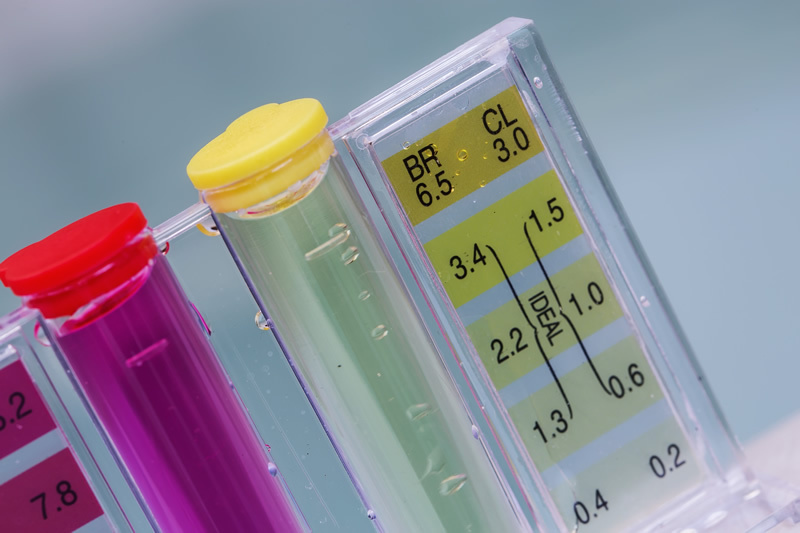 Test results can vary depending on the time of day and from where in the pool the sample was taken. It is best to take the sample directly from the outlet (where the chlorinated water re-enters the pool) and at the end of the equipment's running cycle. It should be 0.5 ppm higher at the outlet than elsewhere in the pool. The display on the chlorinator's power supply should indicate the output of chlorine. If an algaecide containing benzalkonium chloride has been added to the pool within the last 3-4 weeks, this compound reacts with chlorine until it is all gone, leaving a nil chlorine reading. 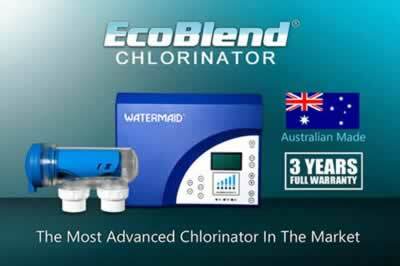 To overcome the addition of benzalkonium chloride, liquid chlorine may need to be manually added to obtain a free chlorine reading again. As a guide, up to twenty litres may be required. It is preferable to add a copper-based algaecide (eg. copper sulphate) to treat an algae problem, as it does not affect the chlorine in the water. Summer running times are 10-14 hours per day, preferably at night when the sun is off the pool. If solar heating is installed, some running times will need to be set to operate during sunlight hours. If a sand filter is installed, has it been backwashed in the last month? Has the sand been changed in the last 5 years? With regular backwashing, the edges of the sand become rounded and do not filter as effectively over time. Therefore, the sand will need to be changed about every 5 years. A good way to check if the filter is filtering properly is to hold a sample of the pool water in a clear glass up to the outside light. If you can see floaties, first try backwashing the filter several times, for 3 minutes each turn. If there are still floaties after several turns, then the sand will need to be changed. It is also important to check the pH is within the correct range (between 7.2 and 7.8). Within this range, chlorine is more effective as a sanitiser, as there is a higher percentage of hypochlorous acid (HOCl) in the water. A simple rule we follow is... if the pool is clean and clear and sparkling, leave it alone!